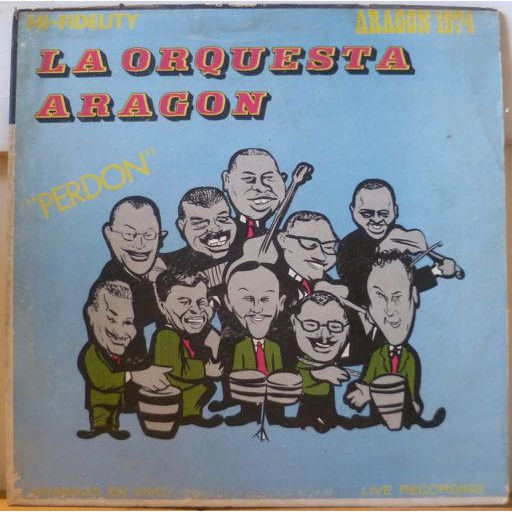 Unusual and untraceable Orquesta Aragon release which includes some genuine live recordings but might also have material taken from previous releases. Tracklisting is : Perdon No lo puedo perder Un beso de recuerdo Nosotros Besos con monzancha Sombras La vida es un sueno Felicidad Cuatro vida Repicando bata. Sleeve is VG- to VG w/ some aging & dirt, mini peel off, writings on back. Record w/ bad mastering/recordings & numerous surface marks.